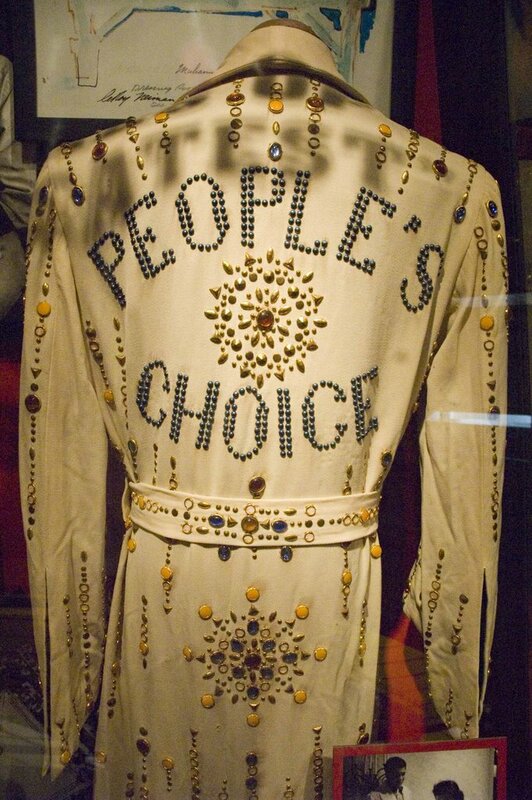 On February 14, 1973 Elvis Presley visited Muhammad Ali before a fight in Las Vegas, Nevada to give him this “Elvis Style” robe that says ‘People’s Choice” on the back in rhinestones and jewels. 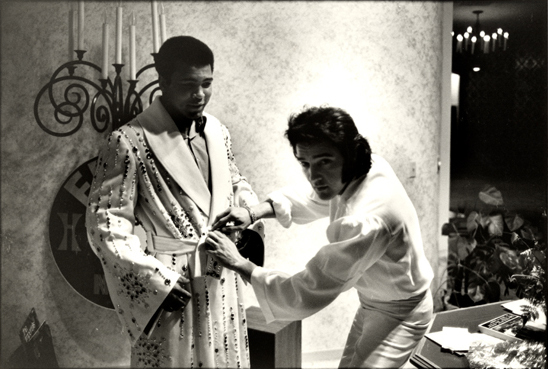 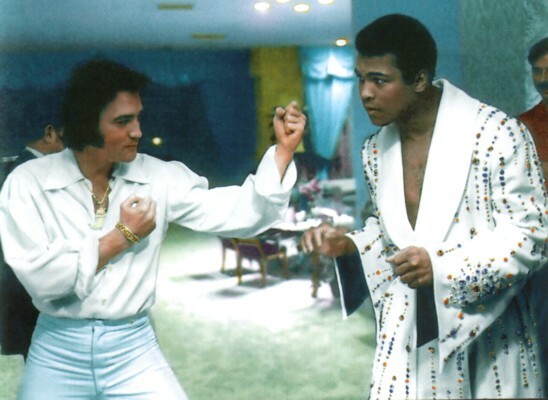 The television commentator for the fight said ‘That robe was given by Elvis Presley at his last fight in Las Vegas. 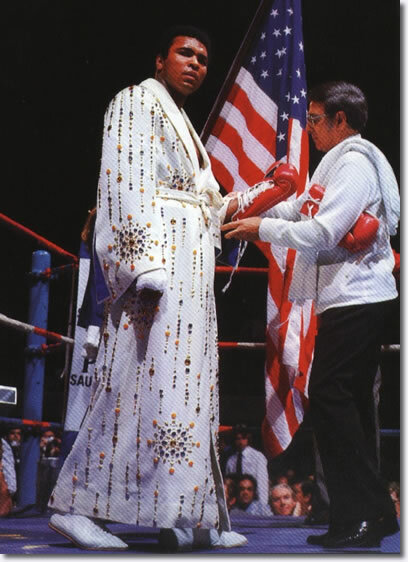 It cost around $3000.00 and it’s Ali’s pride and joy.” Ali lost the fight and never again wore the robe into the ring again considering it bad luck. 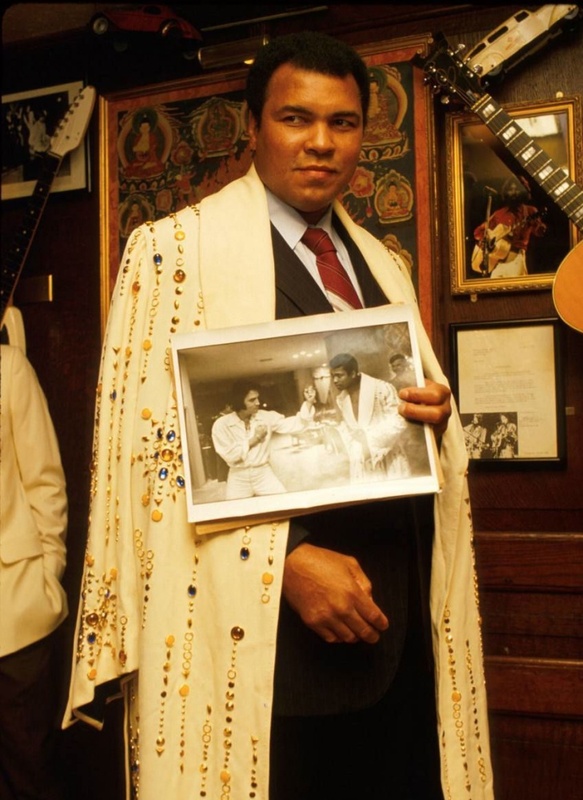 He did wear it again in this photo before it was put on display.